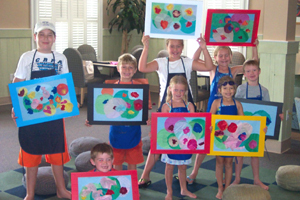 Why Art Education is highly beneficial for children? Art education can play a major role in a child’s academic and social development. Children who regularly participate in a comprehensive arts program are four-times more likely to be elected to class office; four-times more likely to be in a math or science fair, and four-times more likely to win an award for writing, according to research published by Americans for the Arts.